The Huffington Post calls it "the best beach hotel in the world." 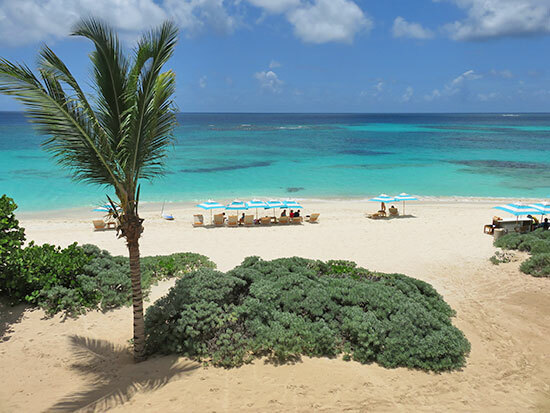 Countless others have dubbed its beach "the best in the Caribbean." 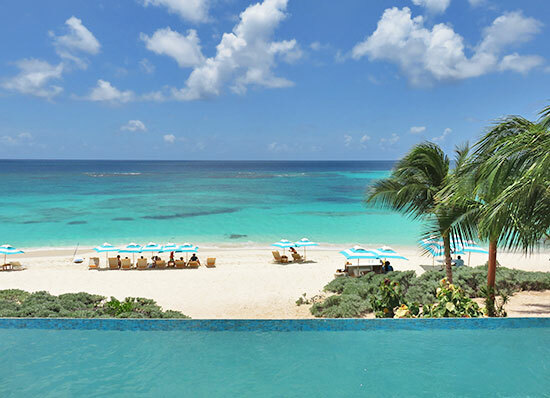 This all sets the stage for Anguilla's first and only luxury resort on Shoal Bay East. This is Zemi Beach House. 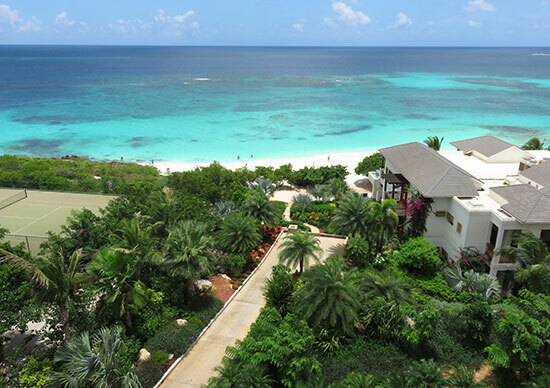 Anguilla luxury resorts have always been concentrated in the West End of Anguilla. 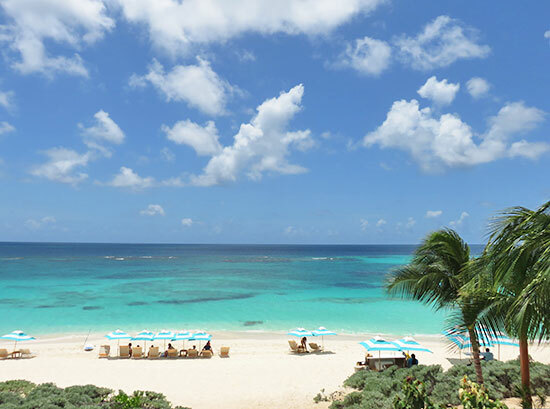 Between Malliouhana and Viceroy on Meads Bay, CuisinArt on Rendezvous Bay and Cap Juluca on Maunday's Bay, "the west" has long ruled the luxury hotel market. 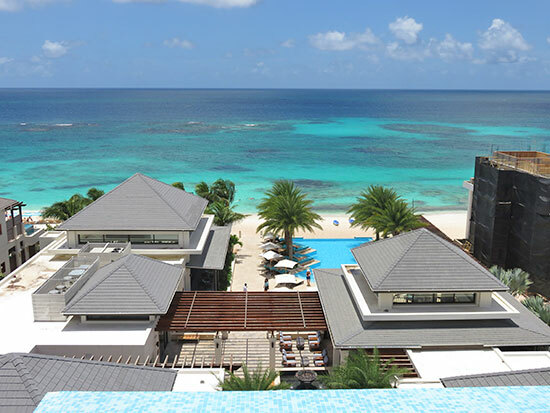 Zemi Beach House has changed all of that, bringing palatial suites and five-star facilities to the stunning sandy sweep of Shoal Bay East. More on our early look at Zemi Beach House here. Since our last visit, the luxury hotel has opened (January 2016). 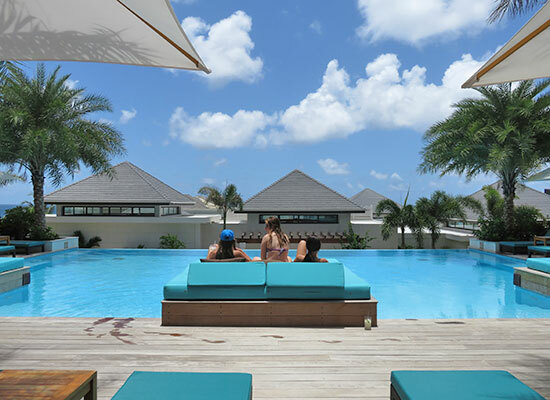 Pools are sparkling, restaurants are bustling and the resort has been getting the attention of big press, including being awarded the title of "world's best new spa" by CNN. Now, post-opening, it was time for us to take another look at Zemi Beach House. Today, July 2016, Zemi Beach House is virtually complete. The "last piece" is Zemi Beach's second beachfront building, which is nearly finished (construction has resumed as of summer 2016 - see photo below). All major construction will be complete as of September. Smaller (and quieter) interior work will be wrapped up after that. Note: If you are staying at Zemi Beach House during summer 2016, construction will be on-going. Beyond that, there are plans for future construction. 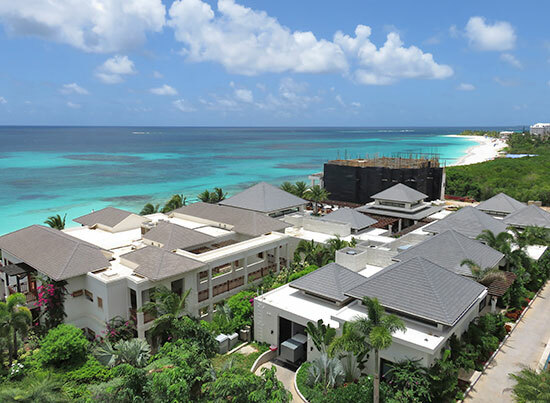 When completed, the resort will be Anguilla's second largest with 129 keys. Already, though, with 70 units, Zemi Beach House has an impressive presence. 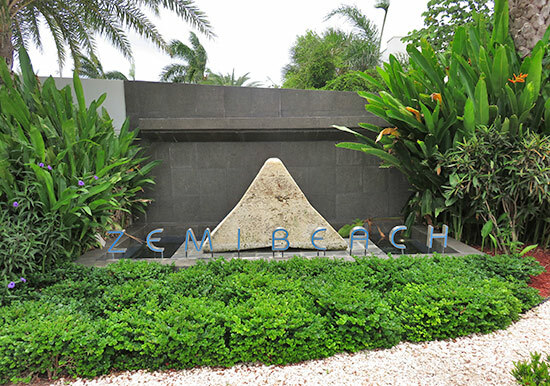 Down a palm-tree lined driveway, calm anticipation washes over you as you arrive at Zemi Beach House. 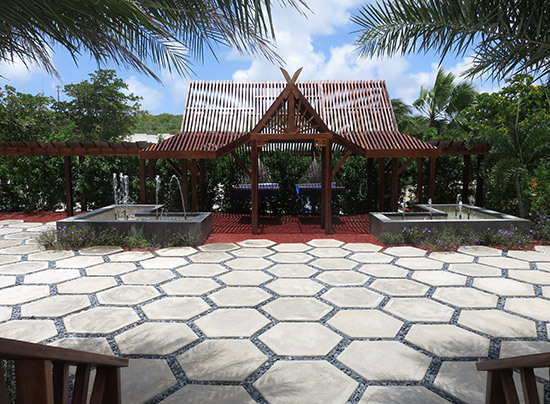 The resort's tranquil welcome pavilion is set at the very top of the property, adjacent to the luxury resort's spa. Just beyond the spa and welcome area, three 4 story buidings sit on a sloping hillside. 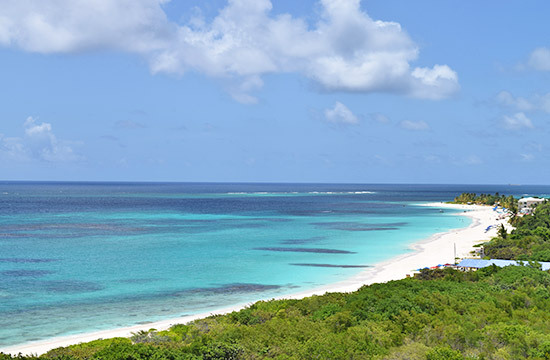 Elevated and set back from the beach, they offer stunning views of Shoal Bay East. 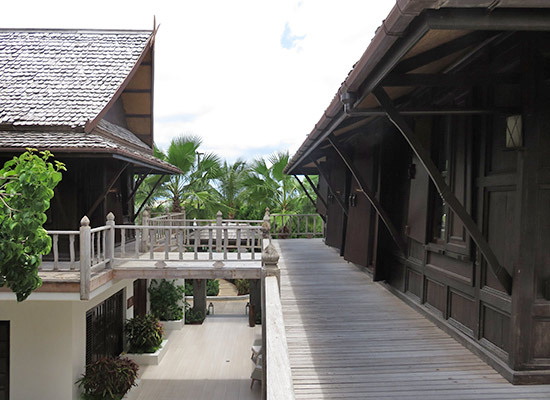 The resort's rooms and penthouse suites are located in these three buildings. 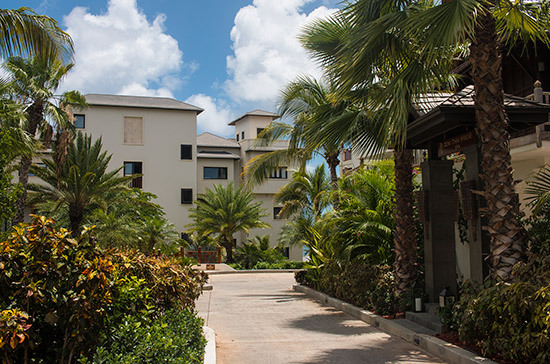 Down on the sand, Zemi's 2 story beachfront building houses the resort's beachfront suites. All of "the resort action" happens at beach-level. 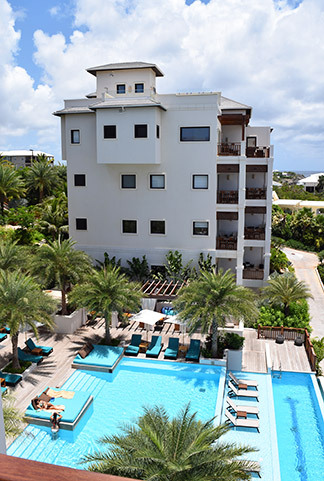 Two restaurants, three bars, one boutique, guest services and the pool... it all makes up the "core" of Zemi Beach House. 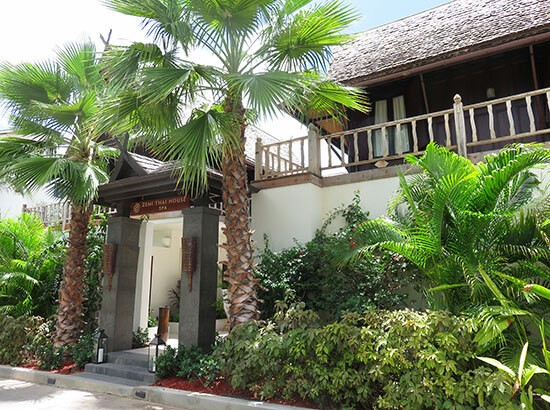 Zemi Thai House Spa has been generating tremendous interest and curiosity. Their concept is one of a kind, starting with the spa structure itself. The spa's buildings are over 300 years old. 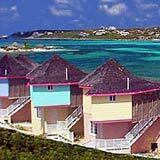 They were originally built in Thailand centuries ago and disassembled and shipped to Anguilla in the 80's where they were re-assembled overlooking Shoal Bay. 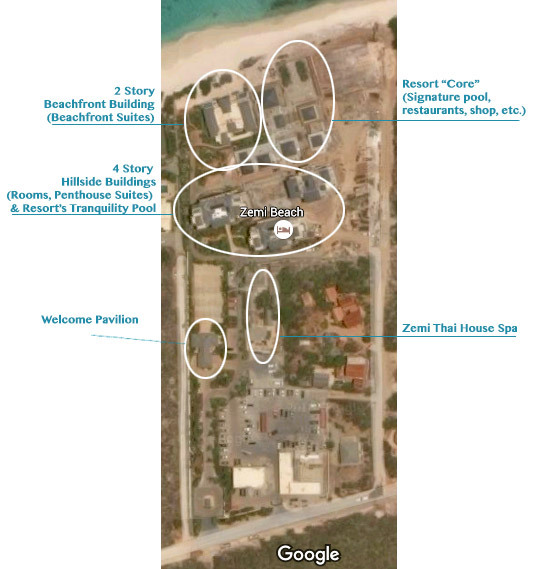 Known locally as "the Thai house," it has long been a curious landmark in Anguilla. Their inclusion in the resort was a master stroke. The spa adds a mystical aura to the whole resort property. A fascinating collection, the quality of their construction and long-standing durability are noteworthy. 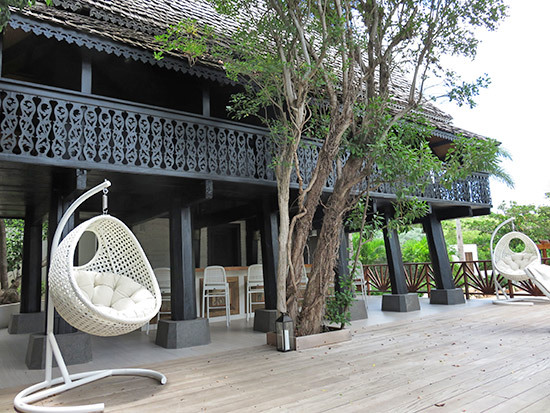 The team at Zemi Beach House has done a tremendous job bringing the antique buildings into the 21st century. Refurbished, the setting blends old-world charm with modern luxury. The spa spans two stories, with plenty of private corners for disconnecting. 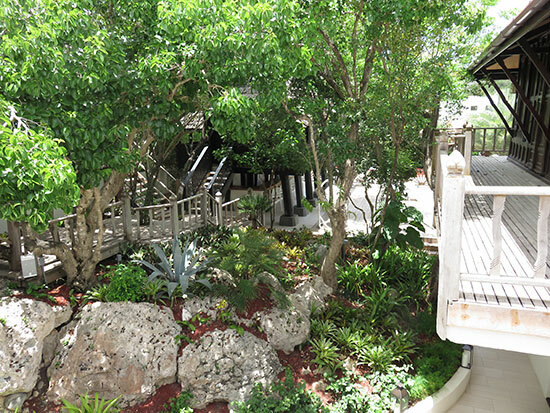 With lush, tropical landscaping, the surroundings are soothing and the experience is spiritual. That feeling of "spirituality" is further accentuated by the spa's offerings, starting with their impressive Turkish Bath House ("Hammam"). It is the largest of its kind in the Caribbean. Elegant, it dazzles the eye. Inside, temperatures heat up to 102°F to expel toxins and the stress of the day. 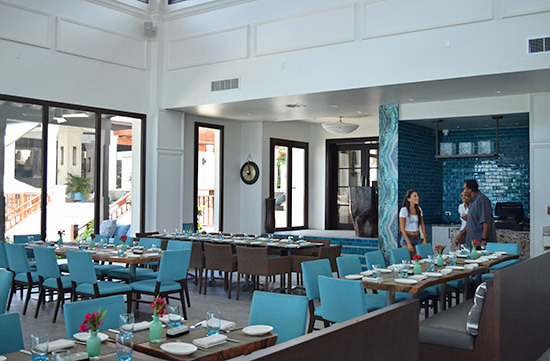 The Turkish Bath House is "part one" of Zemi Thai House Spa's "Taino Bathing Ritual." The Taino people inhabited Anguilla centuries ago and embraced different rituals to heal the body. 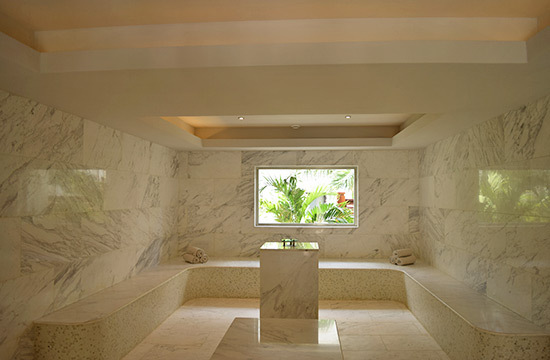 The spa's "Taino Bathing Ritual" is a reflection of those ancient traditions. It begins with a stop in the "Hammam" and is followed by a visit to the "Bohique Mud Deck." Here, you are supplied with treated muds to cleanse your skin. Then, bask in the sun to let the clay set before rinsing off in the rain showers. The last stop? The ATY Vitality Pool. 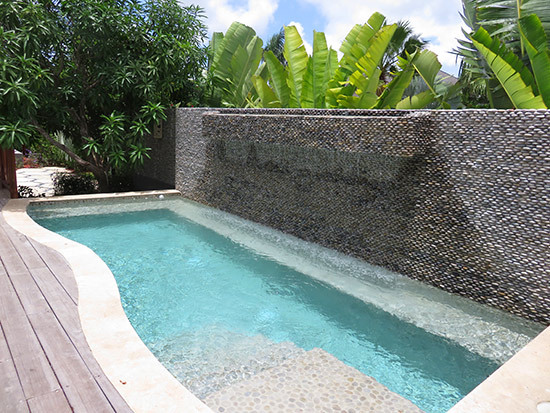 Named after the "goddess of water and well being," Atabeyra, this pool is meant to restore and revitalize the body. Set at body temperature, it is wholly therapeutic. This is all found on the first floor of the spa. In addition to the "Hammam," the "Bohique Mud Deck," the rain showers and the vitality pool, there are many other spaces to unwind. 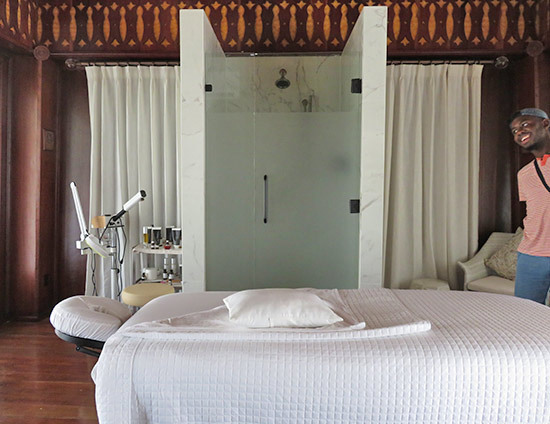 A number of private treatment rooms are located on the second floor of the spa, behind wooden Thai doors. Zemi Thai House Spa offers a number of treatments. The "advanced healing rituals" are particularly intriguing. For example, the Zemi Sun Ritual, which includes an exfoliation with papaya, macadamia, sugar and sea salt, a cucumber and aloe body wrap and a scalp massage. As with the Turkish Bath House, the treatment rooms have been nicely retrofitted. From top to bottom, inside and out, the spa experience at Zemi Thai House Spa is completely unique. 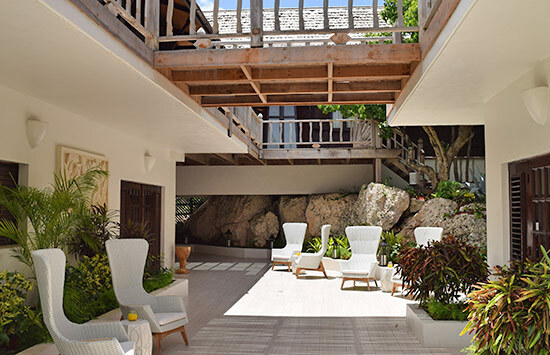 Between the ancient Thai house structure, the spa's focus on spirituality and Anguilla's history, and the common areas that let you enjoy the open air and all of the natural elements of Anguilla... Zemi Thai House Spa is an exotic gem. Upon leaving the spa, the first of the resort's three 4 story buildings comes into view. 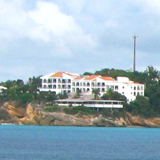 These buildings line the property's hillside, set back from the beach. They house Zemi Beach House's rooms and penthouse suites. 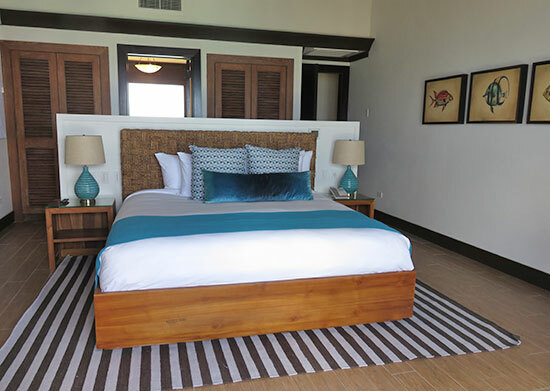 The resort's rooms range from deluxe rooms (600-700 square feet), to rooms with ocean views, to luxury rooms (527 square feet and located on the very top floor). What the rooms lack in size, they make up for with their view. TIP: For extra light and a terrace that opens to the sky, the "luxury rooms" are worth the trade off in size and extra cost. 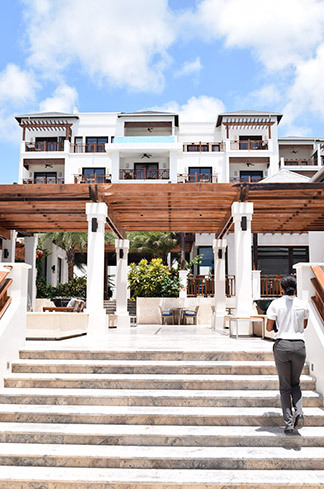 Well-appointed, the rooms and suites blend contemporary design with Caribbean touches. White walls are nicely offset by rich stonework and wood balcony railings and doors. 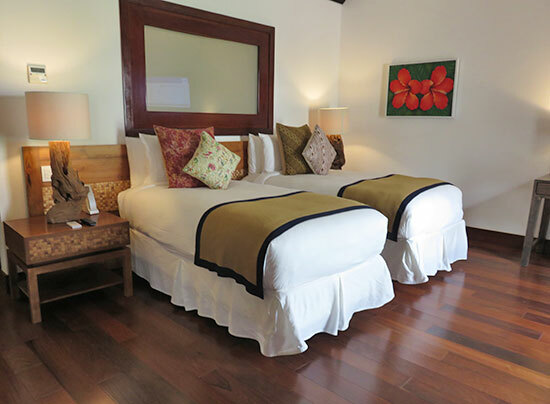 The rooms exude a fresh and modern, yet tropically-warm feel. If money is no object, the 2-3 bedroom penthouse suites boast plenty of space. Lofty living rooms and kitchens open onto over-sized terraces. The master bedrooms face the sea (the second bedroom (or third bedroom - in a 3 bedroom penthouse suite) does not face the sea and is on the tight side). Most enticing of all? 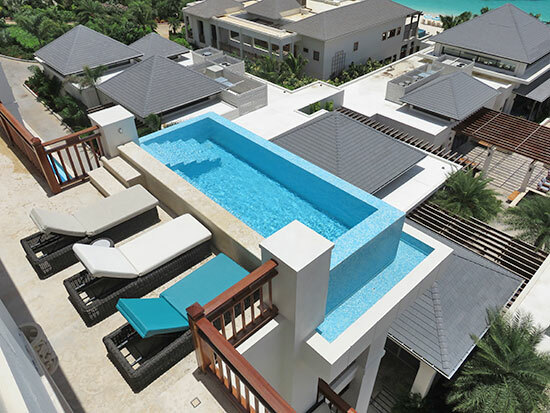 Each penthouse suite features a roof-top terrace with plunge pool. Its crystal-clear blue melts into the blue sea below. It is Caribbean "high-living." Set in the 4 story building on the property's eastern corner, the Zemi Suite is the crown jewel of the penthouse-style suites. Step inside and the size and view take your breath away. ... and a dazzling penthouse kitchen. 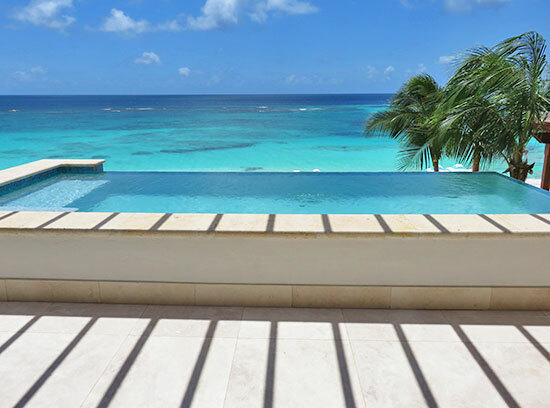 It all opens up onto a 742 square foot outdoor terrace with an infinity-edge plunge pool. Because of these suites' position, they also catch the mid-day sun. Their positioning relative to the sun was well thought out during pre-construction planning. 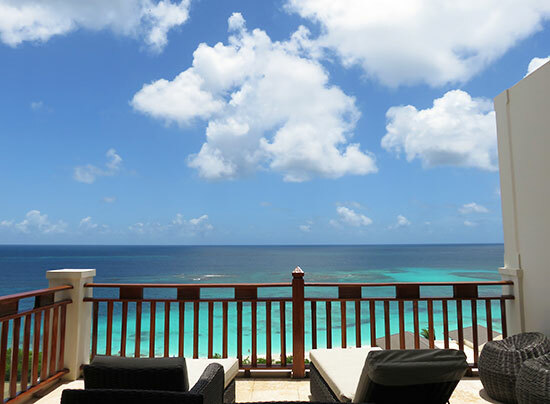 You do not have to leave your suite to take in those Caribbean rays. 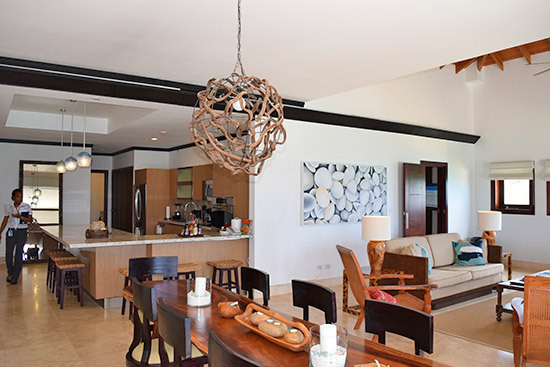 If 742 square feet isn't enough, there is another sweet find in this apartment-sized suite... A spiral, stone staircase that leads to another sun deck, with a more intimate plunge pool and even more elevated views. ... and opens into the suite's two bedrooms. At 2,709 square feet, the Zemi Suite is closer to a super high-end penthouse apartment than a "typical" five-star hotel room suite. 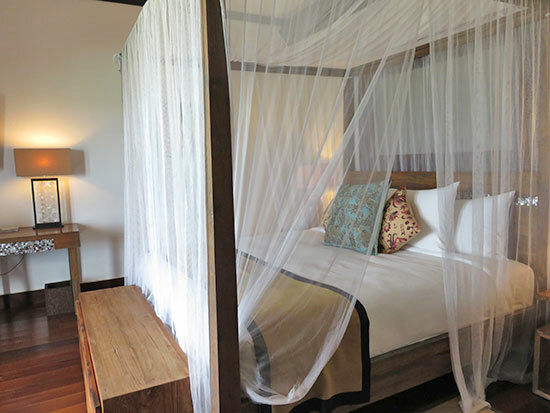 Your luxury spot in the sky, this suite has been crafted with true care, no expense spared. As we made our way through the dense property, down to the beach, we came across the first of Zemi Beach House's two pools. A two floor, wooden deck surrounds two infinity-edge pools. 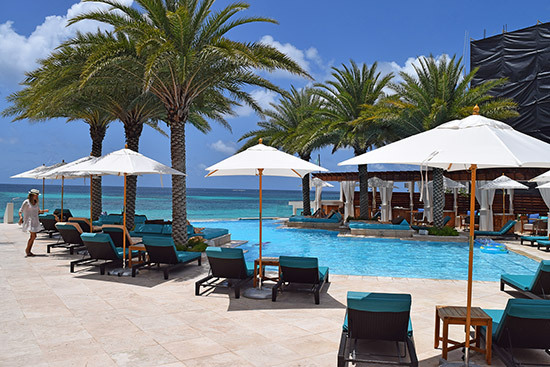 The area is complete with cabanas, day beds and lounge chaises. Oversized palms provide gentle natural shade. And, the daybeds that perch out over the water are a particularly smart touch. 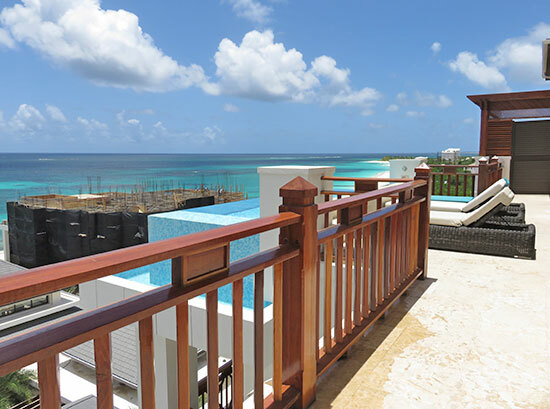 Now, when it comes to suites at Zemi Beach, the question is this... "go high (in one of the 4 story hill-top buildings) or go to the beach (in the resort's 2 story beachfront building)?" If you go high, you have the view. If you choose the beach, you can step from your suite right onto sand. 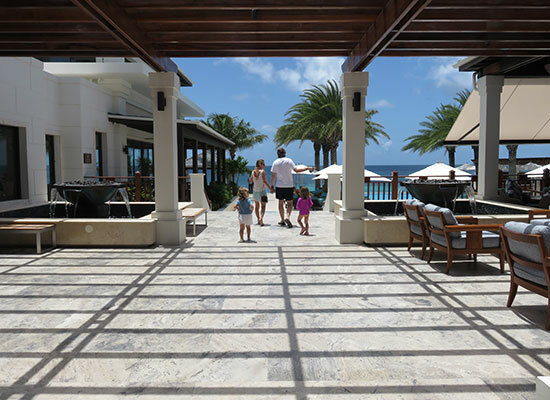 Do you prefer a magnificent view or the ability to walk out onto the beach? Only can make that decision, of course. NOTE: The beachfront suites are the only units that open directly onto sand. All other rooms and suites are adjacent to the "Tranquility Pool" (see above) and a short walk to the beach. Lofty, open and bright, complete with central air conditioning, the beachfront suites are the definition of "luxury by the beach." 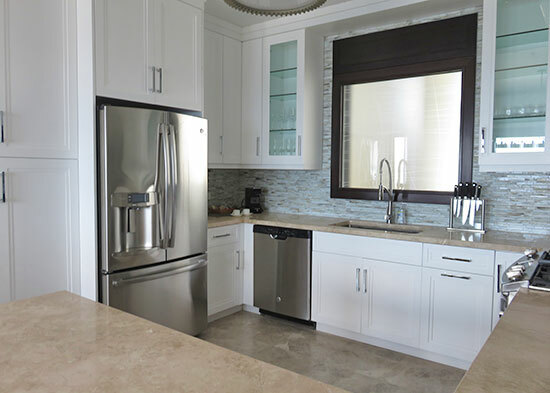 A sizable kitchen (with every appliance, including in-suite laundry) flows into a large dining and living space, which opens onto a generously sized terrace. 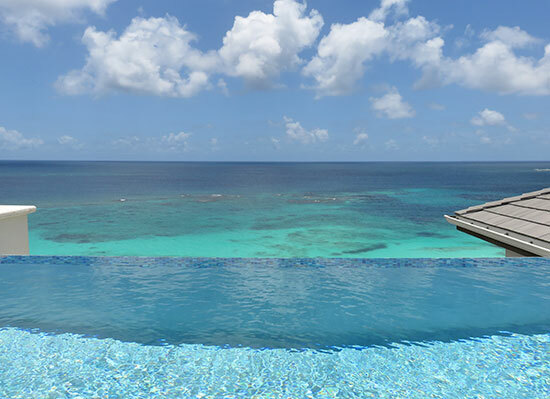 Your private infinity edge pool drops off to the beach below. The beachfront building is two floors. You can book a suite on the top or bottom floor. If you are on the top floor, enjoy the extra height. 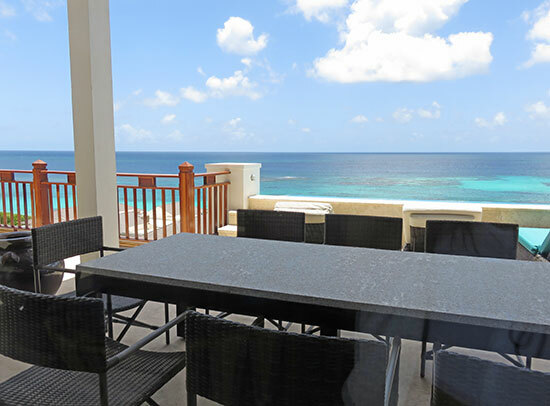 If you are on the bottom floor, step from your terrace onto Shoal Bay East. 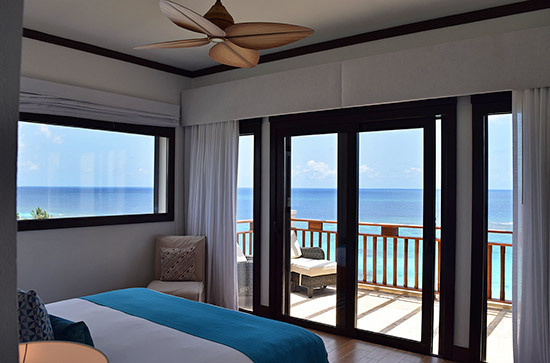 At Zemi Beach's beachfront suite, you are truly one step from the beach. Robb Report has referred to these suites as "beach beauties." 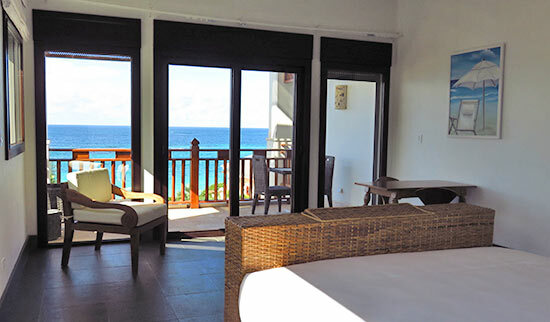 They are without a doubt amongst the most impressive beachfront suites in Anguilla. 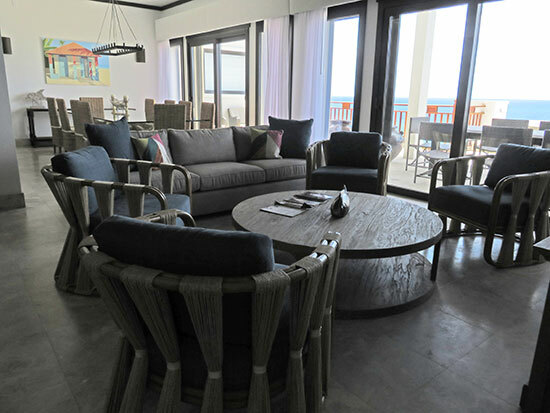 A short stroll from the beachfront suites, and you are set in the "epicenter" of Zemi Beach House. All facilities converge in this central area, creating a community feel and a lively spirit of its own. Note To Potential Guests: Guest Services is also located in this part of the hotel. If you need to print boarding passes or book restaurant reservations, this is the equivalent of the front desk and concierge. 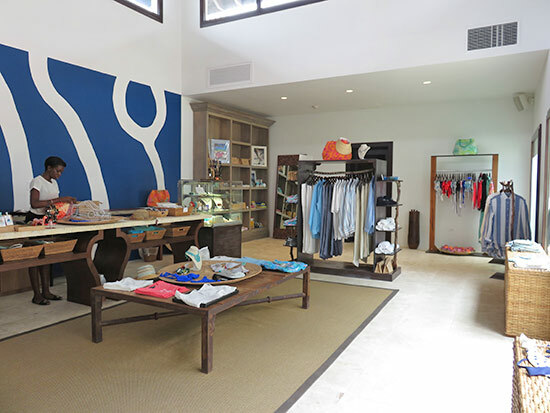 A chic shop, Out of the Blue meets your swimwear and resortwear needs. 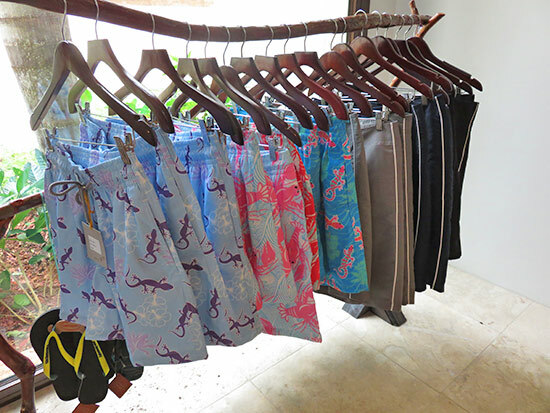 The boutique carries colorful and spirited mens swimwear label, Henri James, and Valimare, a luxury swimwear brand for women. 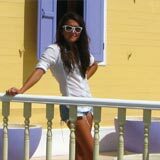 Hand-carved jewelry by Victor Hempel (a carver who is known locally and docks his sailboat in Anguilla frequently, when he is not sailing the rest of the Caribbean) and hand-crafted jewelry showcasing Anguilla's golden-sparkling sand are a couple of other unique treasures to be discovered. 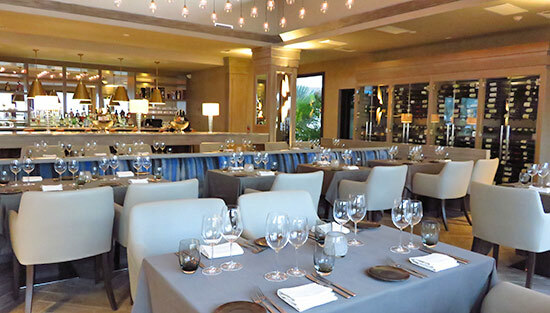 Around the corner from the boutique is the resort's fine-dining restaurant, Stone. Warm and inviting, yet modern and refined, with large, floor-to-ceiling windows, it is reminiscent of an elegant restaurant you might find in Santa Barbara. 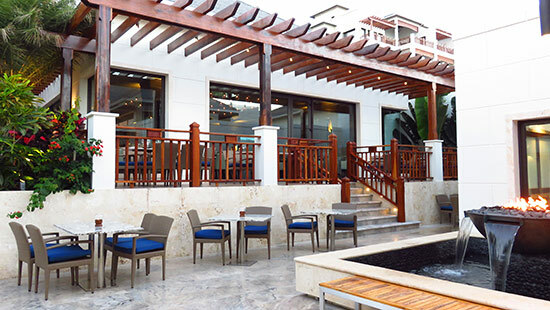 Dine al fresco, overlooking the resort's Bar & Lounge, or dine inside in the cool comfort of air conditioning. Stone will soon be welcoming a new chef. Stay tuned for a full review. 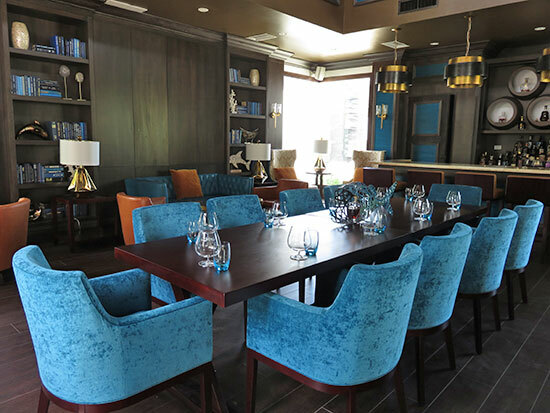 A plush spot for a post-dinner retreat, is it a coincidence that the Rhum Room is set right across from Stone? Affectionately referred to as "the man cave," it is not hard to see how this room got its nickname. Dark and dressed in deep hues, there is a real richness to this posh and classic lounge. 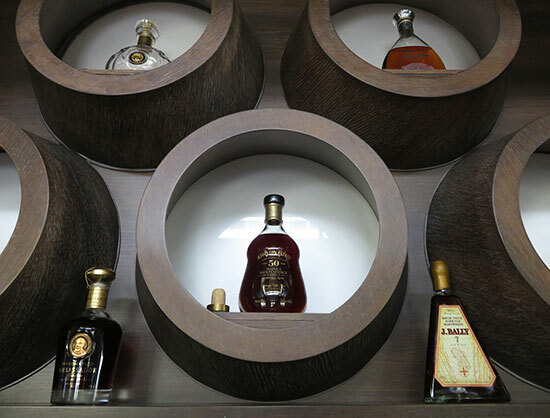 True to its name, the Rhum Room features 80 different kinds of rum, including some of the most interesting in the region such as Brugal Papá Andrés from the Dominican Republic and Homère Clément from Martinique. The priciest? A 50 year old rum from Jamaica, Appleton Estate. One shot will set you back about $900. 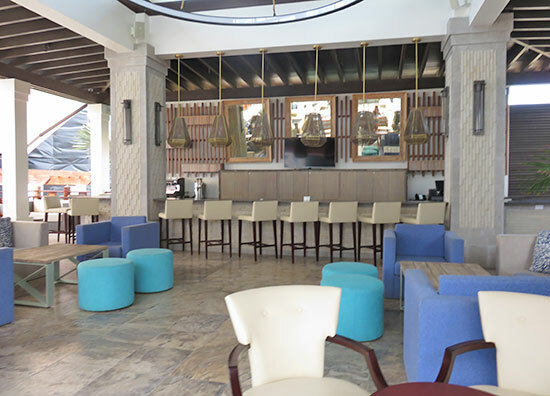 The resort's main bar, The Bar & Lounge is located next to the Rhum Room. The pool has become a focal point of the resort. Nothing short of iconic, its sharp design grabs the eye. With a brilliant layout, it seems that every guest takes this exact photo (above) and publishes it to social media. "Is it an interpretation of a Taino Zemi stone (used by the Taino people)?" I wondered, gazing at the pool's triangular point. Perhaps I am reading too much into it. That captivating, the pool dazzles the imagination. It is the most popular spot on the resort grounds, with a prime location just three steps up from the beach. 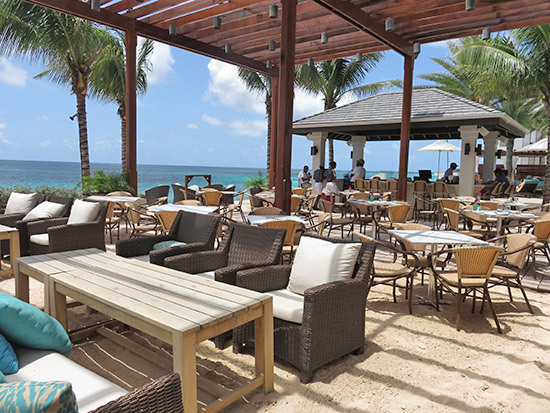 Turn to the left of the pool and you are at Shoal Bay Zemi Beach Club and its restaurant, 20 Knots. Latin-Caribbean fare is the order of the day. And, the great news if you are not a guest? 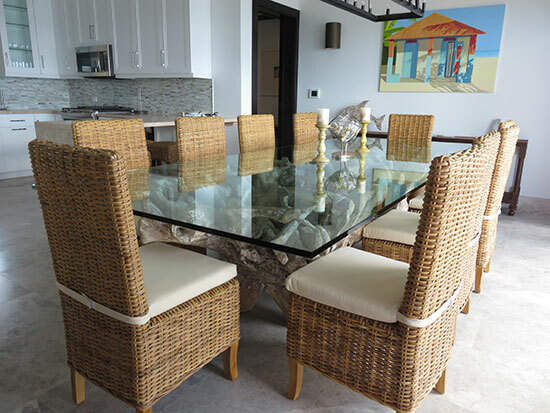 Dine at 20 Knots and beach chairs on Shoal Bay East are included! More on 20 Knots here. Finally, the star of the show... the beach. 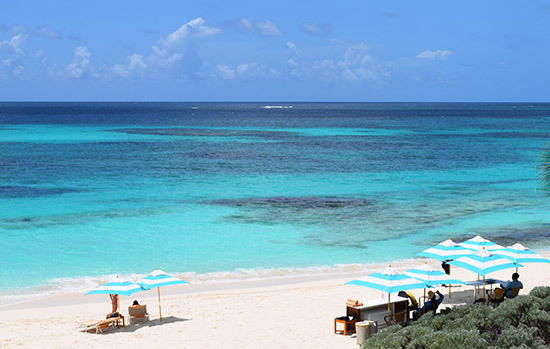 A long stretch of pearly-white sand that drops off into aquamarine-blue (and some of the most active reefs in Anguilla), Shoal Bay East is a little slice of heaven. Zemi Beach House is set on the quieter end of Shoal Bay East. On the west end, it is beyond the concentration of beach bars and restaurants in the middle of the beach. Tranquil and peaceful, its location is ideal. 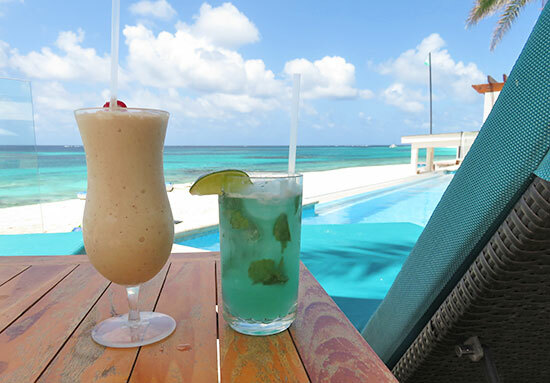 It is far enough away from the "buzz" to maintain privacy and seclusion, yet close enough to take a leisurely beach walk and grab a lunch bite and rum punch off-property. 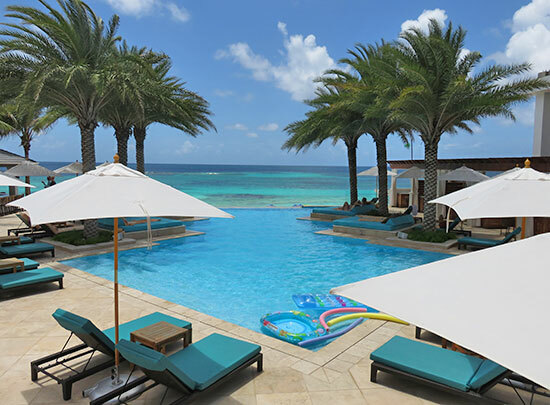 Zemi Beach House has brought a strong touch of luxury to the East End of Anguilla. 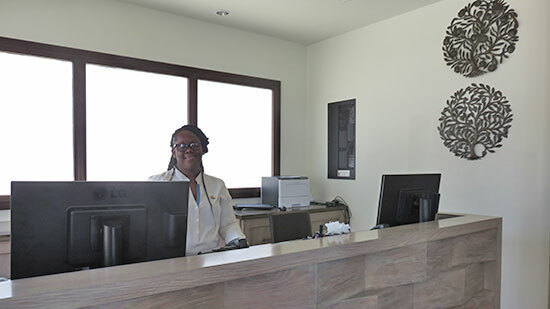 An insightful vision that pays homage to Anguilla's ancient heritage, the Zemi Beach House concept has come together beautifully. A big congratulations to the Zemi team!